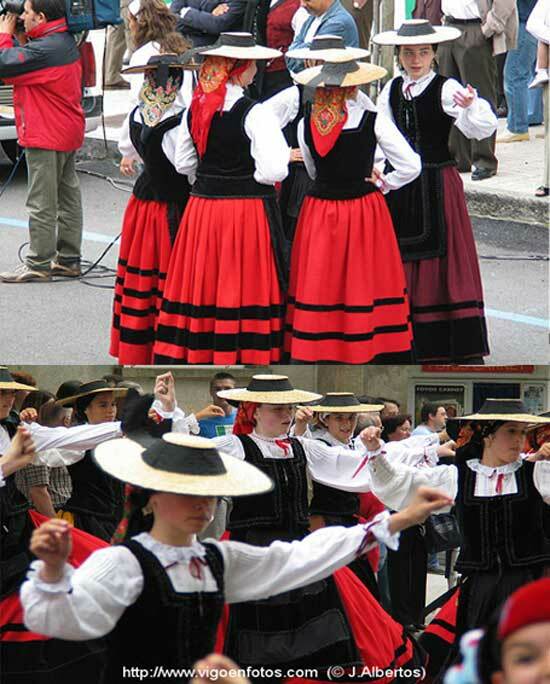 Women's headdress from the small village of San Cosme de Barreiros, lost on the Atlantic coast of Galicia in northern Spain. 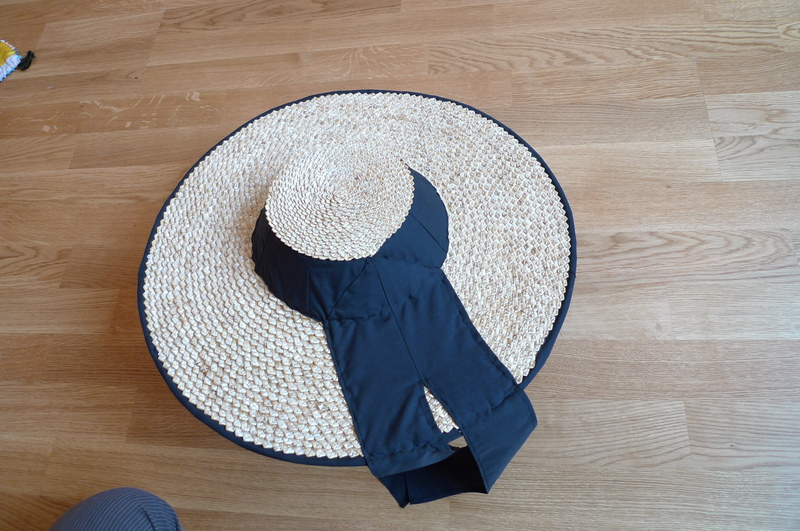 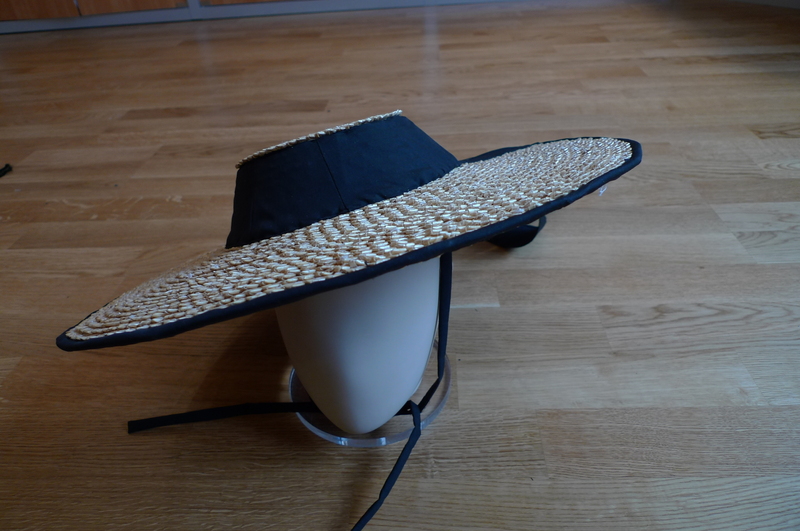 As in other regions of the world where the climate is dominated by rain, this elegant straw hat is designed to protect against precipitation in the field. 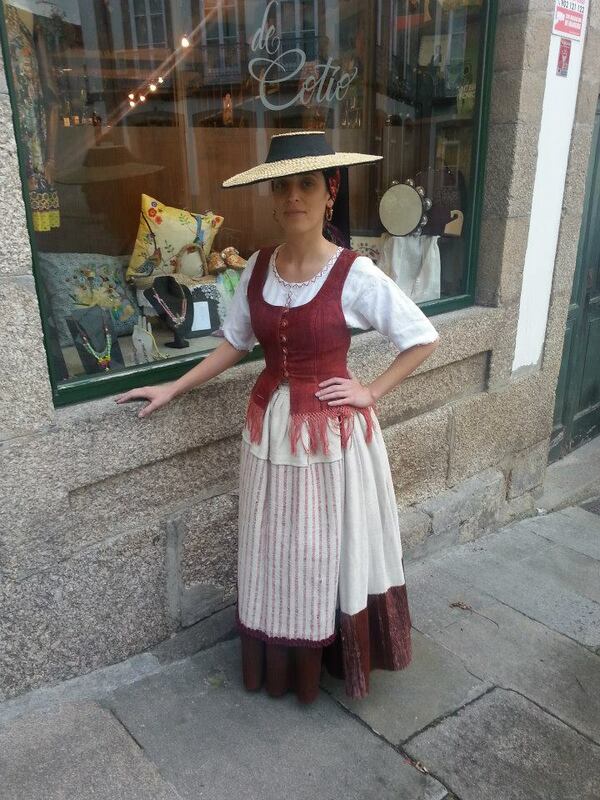 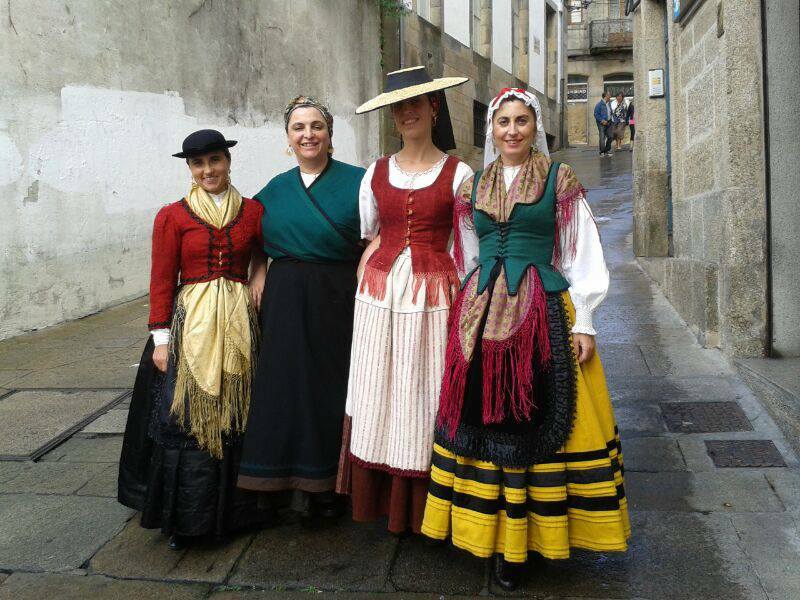 Today, of course, the San Cosmeiro hat can often be seen during the village celebrations, where residents are still, as of old, wearing traditional costumes.